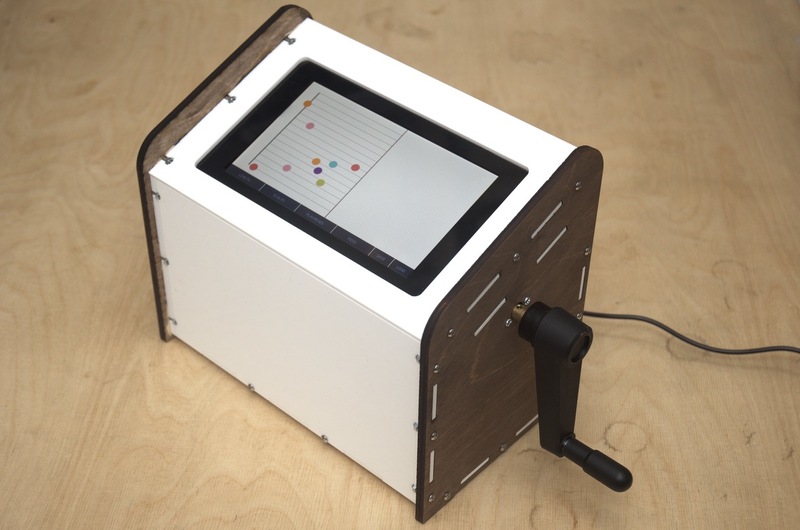 Twinklr is a modern music box: a physical, digital musical instrument. 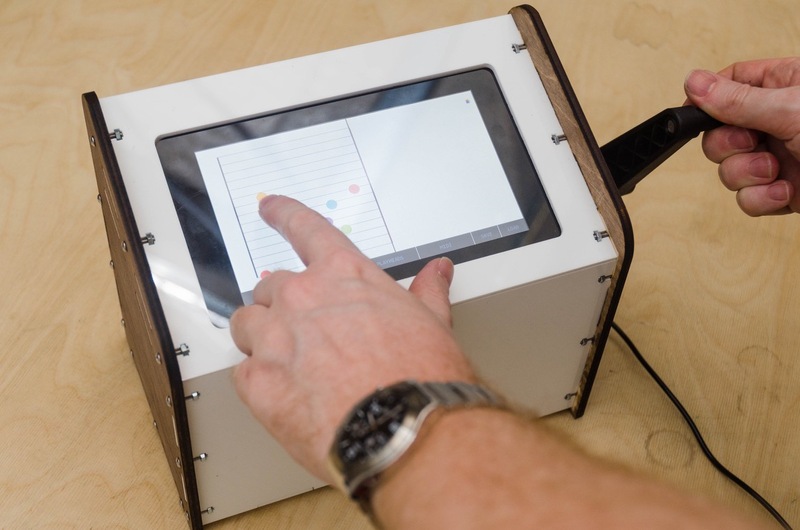 Instead of punching holes in paper, players enter notes onto a touchscreen. Twinklr makes it easy to write tunes in any scale or key, changing them at will - and any mistakes can be quickly corrected with a tap or two. Melodies can be saved into one of eight slots in the device. It allows the user to have multiple 'playheads' running at once, playing multiple versions of the same melody, leading to new interpretations of an existing tune. 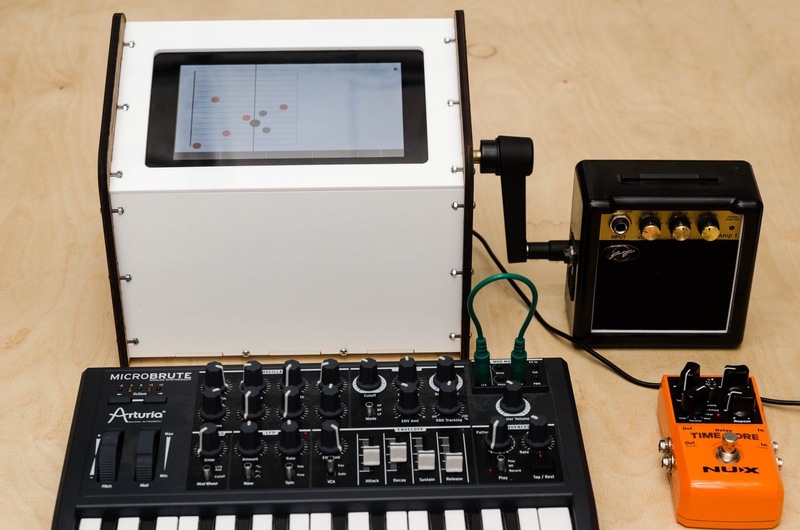 Twinklr can also control any other MIDI-enabled device, opening up new ways to play existing instruments. Developed in collaboration with composer and designer Richard Birkin, Twinklr is a tool for performance, improvisation and composition, built using computer-controlled manufacturing techniques - and it’s entirely open source. Twinklr is built using computer-controlled techniques. Its case is fabricated from laser-cut ply and acrylic, designed in CAD software. 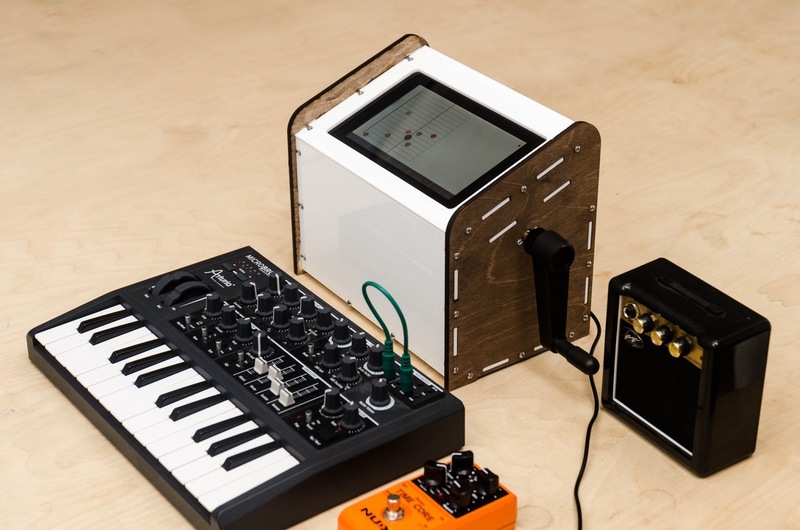 Its interface is built around a Raspberry Pi and touchscreen, and connected using a custom-built circuit board. A focus of this iteration of Twinklr has been on making it easy to make more of them: by using readily available components and on-demand fabrication, tiny-scale manufacture becomes a possibility. All the hardware is open source, and licenced as as CC-BY-SA: you can download the CAD files and the electronics schematics in EAGLE format from the Twinklr Github account. You'll also find the Processing code for the software there, open-sourced under the GPL. Throughout the project, I kept a notebook on Tumblr. It details some of the process and work involved in the project as it happened, as well as serving as a scrapbook of things that seemed pertinent. Twinklr is Open Hardware; its code is Open Source. You'll find all code and plans for hardware in the Twinklr Github organisation - along with even the code for this site. Why Open Source? Well, why not? Twinklr is built on a foundation of open software - like Processing, the Beads framework, and Raspbian - and everything we've learned from building it has come from open sources. It only felt right to share alike. Sharing the knowledge involved and gained in making an object is not the same as giving it away; we continue to explore ways of building more Twinklrs in the future ourselves. 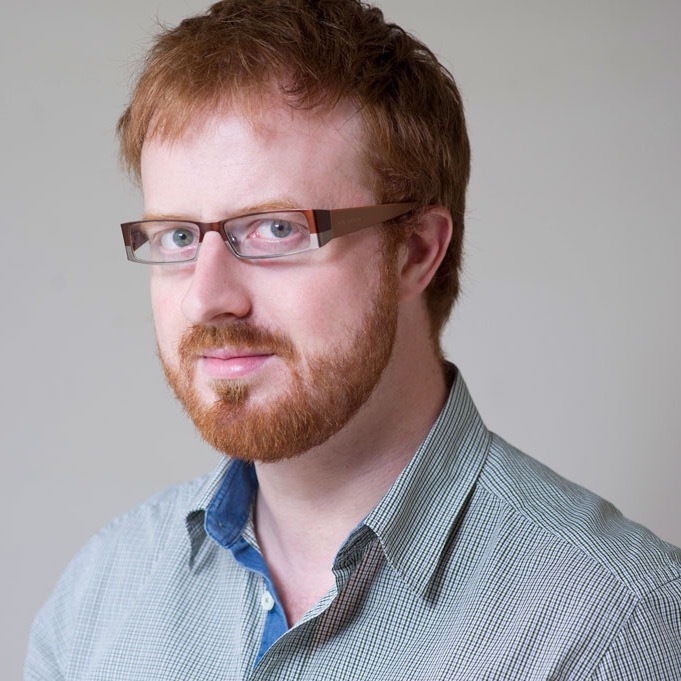 Tom Armitage is a technologist, designer and writer based in London. He makes systems, tools, toys, and art out of hardware, software, and the network. Find him on the web at tomarmitage.com. 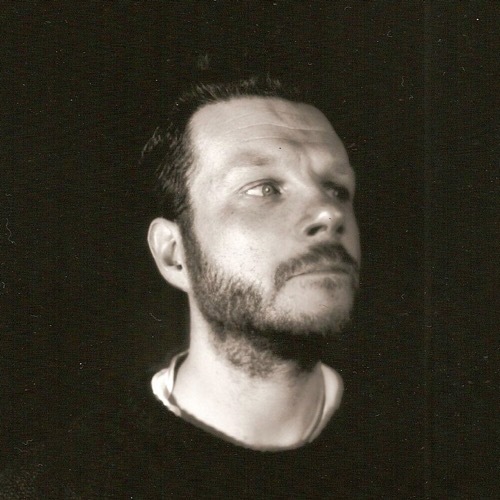 Richard Birkin is a composer and creative technologist, known for combining his own modern classical music with touch-sensitive installations and experimental digital manifestations. Twinklr was built as part of the 2016 MV Works cohort at Makerversity. An early version was supported by D-Lab. The "multiple playheads" feature was inspired by Fugue Machine. If you'd like to know more about Twinklr, are interested in your own Twinklr, would like high-res images for press purposes, or just want to say hello to the creators, drop us a line.